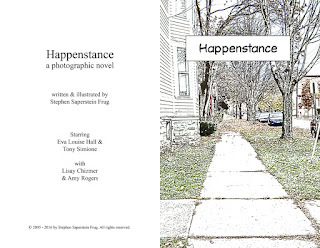 So some of you know that I spent much of the past decade working on a (photo-based) graphic novel titled Happenstance. I'm pleased to announce I've begun serializing it online. 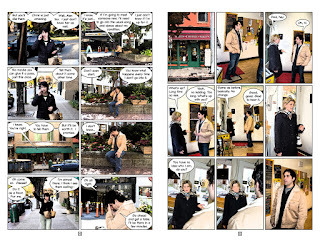 My plan (kenina hara) is to post new images twice a week, Monday and Thursday (where each image is a two-page spread: the contrast between the pages becomes important down the line). So please check it out, like & share with your friends!